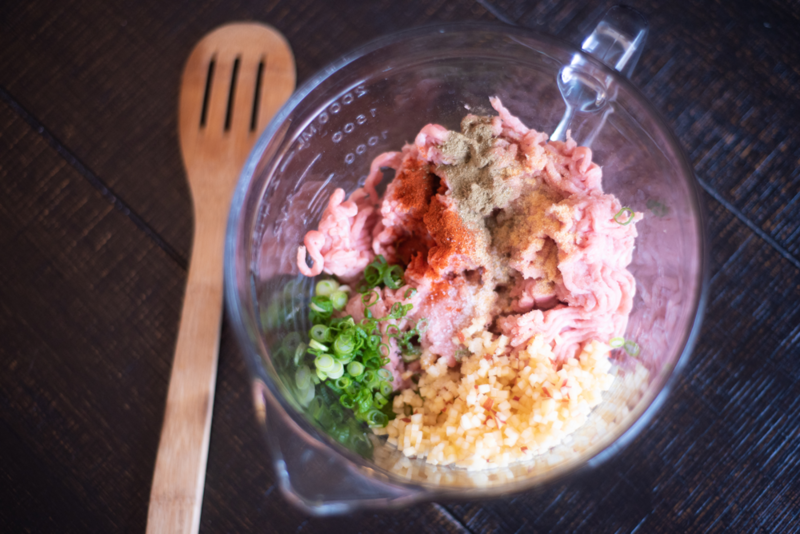 In a bowl, combine all ingredients. Mix gently but make sure the ingredients are evenly incorporated. 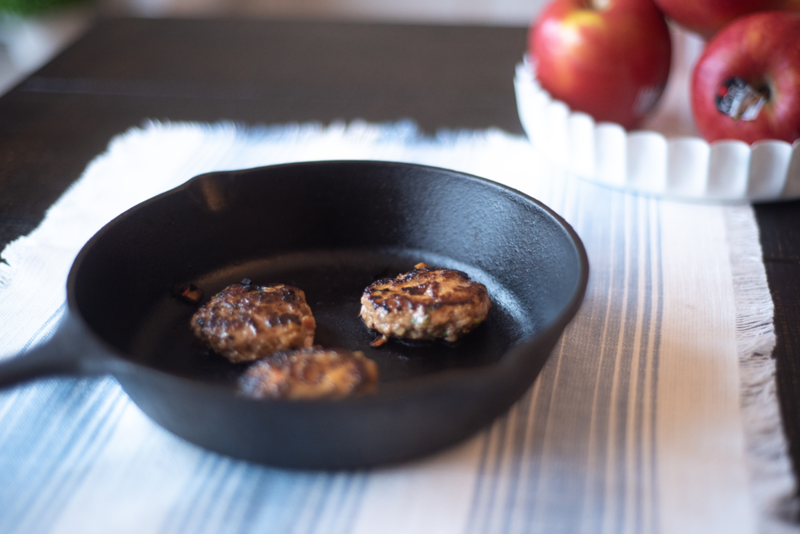 Shape turkey apple mixture into little 2 ounce patties, packed tightly with a little dent in the middle. Heat a cast-iron skillet to medium-high, and coat with nonstick cooking spray, or a drizzle of olive oil. 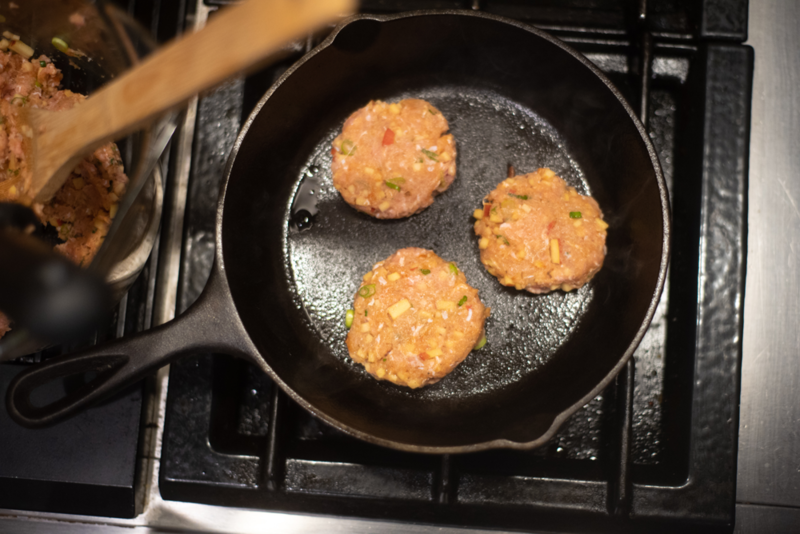 Once the skillet is hot, place the sausage patties down and let cook 2 – 3 minutes. Flip and cook 2-3 minutes more, until they are fully cooked in the middle. Repeat for the rest of the patties. Remove to a plate and serve! 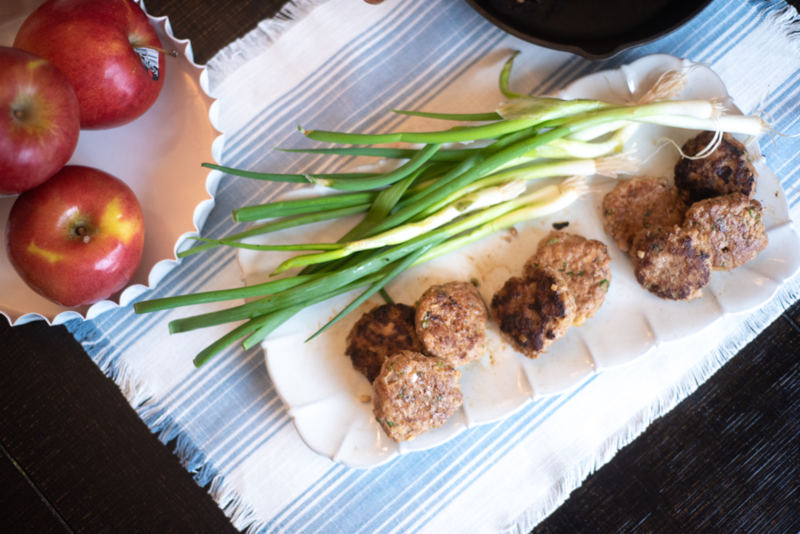 They can also be cooled, put into a freezer-safe zip-top bag, and frozen for an easily reheated breakfast on-the-go!